If you enjoy bath bombs, lip balm, and sugar scrubs you know how pricy it can be to buy from stores. Yes of course it's easier to buy them already made, but it is suprisingly simple to make your own at home. That way you get the perfect scent combination that you want to use. And since it's cost effective, you can make extra to give to your friends, use as a favor for a bridal or baby shower, or even sell locally. 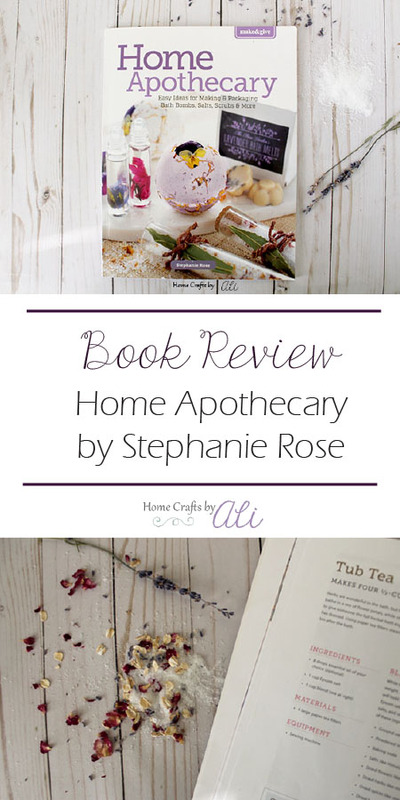 When I was offered a copy of Make and Give Home Apothecary by Stephanie Rose, I jumped at the chance to review it. I knew it would be fun to get some DIY recipes for spa worthy items. Stephanie Rose has years of experience using garden grown ingredients in herbal concoctions. You can see more of her herbal recipes on her blog Garden Therapy. In Make and Give Home Apothecary, Stephanie Rose shares 12 basic recipes that can be personalized and customized to make hundreds of bath and beauty products at home. Each recipe includes beautiful packaging ideas for gifts. Self-care is somewhat of an afterthought these days. With hectic schedules and not enough downtime, people become exhausted, burnt out, and even worse, sick. It is critically important to our well-being to spend some time de-stressing and taking care of our bodies and minds. 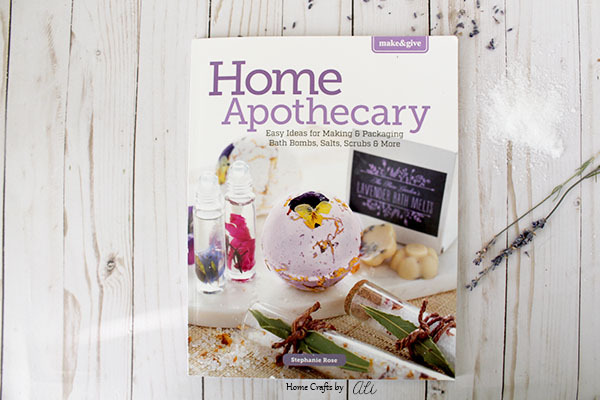 Make & Give Home Apothecary - Easy Ideas for Making & Packaging Bath Bombs, Salts, Scrubs & More, by Stephanie Rose, includes recipes for 12 gorgeous and healing bath and body products and creative ways to package each product for gift-giving that makes them extra special. I have a love of lip balm and bath sugar scrubs. Every visit to the farmers market ends up with a new flavored lip balm. I love supporting local artisans. Our market closes at the end of October though, so for the next 7 months I don't have any rich lip and flavorful lip balm. Sugar scrubs make my skin feel soft and refreshed. I've always wanted to ty to make my own, but didn't know where to start. 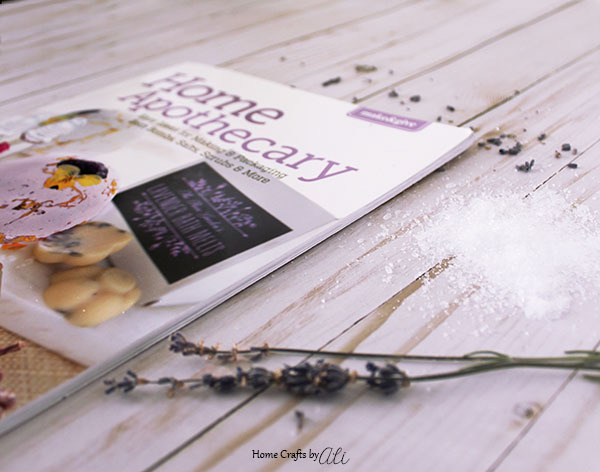 Home Apothecary is the perfect starting place for DIY bath and beauty products! The book starts out with different methods to use and the essential equipment for making your own beauty products at home. You continue on with in depth information about ingredients used in the recipes and the best way to add them together to create successful products. 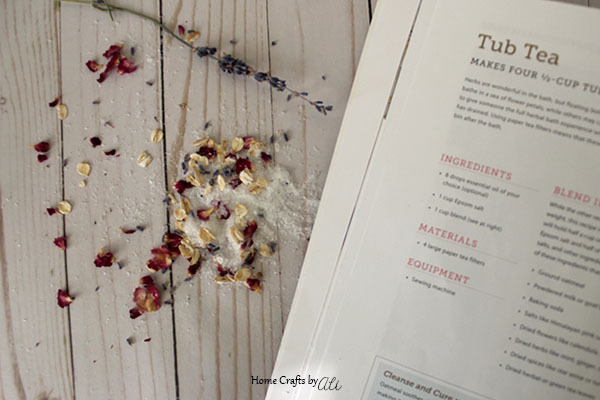 Each of the 12 recipes included in the book have a full ingredient list and clear instructions. My favorite part is the detailed step-by-step photographs for the recipes. I like seeing what the mixtures should look like so I can replicate the recipe correctly myself. 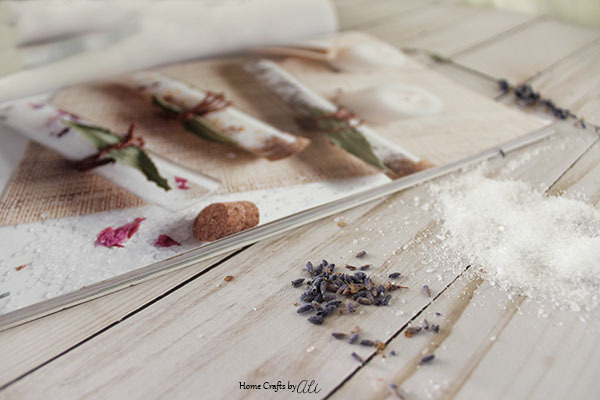 The book has recipes for bath salts, bath bombs, bath melts, lotion bars, lip balm, sugar scrub, perfume and more. Each recipe is a basic starter recipe - you can add personalized herbs or flowers depending on what scent or flavor you want. You can use these herbal recipes to make gifts, host a spa night for friends, or add some relaxation and beauty to your home. You can use the pretty packaging ideas that Stephanie Rose includes with each recipe. Or visit your local thrift store to look for interesting bottles and jars to store these lovely spa items. If you are looking for inspiration for creative DIY bath products, Make and Give Home Apothecary will help you in your creative spa ventures. Each recipe seems to be enough for you to make a bit for yourself as well as giving the rest as gifts. Imagine the smiles on the faces of the reciepients of these beautiful bath products. I hope you found this review helpful and you will add this creative book to your DIY library. Let me know in the comments your favorite scent to use in your bath items. You can see other Creative Book Reviews here.